Congratulations Pennsylvania animal lovers! 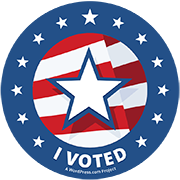 Your vote and your efforts made a real difference for animals in the Midterm Elections! Thanks to each and every one of you who voted for, volunteered and supported Humane PA endorsed candidates, the 2019/2020 legislative session is poised to be a banner one for Pennsylvania’s animals. Take a moment to review the election results and the over 75% of endorsed candidates who won and then take a moment to be proud of our collective accomplishment. Reflecting on what it means for an endorsed candidate to have prevailed on Election Day: to secure the Humane PA endorsement, an incumbent candidate needed a strong humane voting record and/or a history of leadership with regard to humane legislation; for new candidates, we required strong endorsement survey responses and an expressed commitment to the humane treatment of animals. We spoke with many candidates, especially first time candidates, to explore the depths of their commitment to humane legislation to ensure that an endorsed candidate could be counted on when it counts. How did we do it? The results of the 2018 Midterm Elections are the results of years of incredibly hard work, they are the results of a well laid foundation establishing the power of the animal vote and increasing the engagement of animal advocates in the political process. The results are a product of the recognition that the humane and compassionate treatment of animals are not party or partisan issues, but threshold issues upon which liberals and conservatives, Democrats and Republicans, should and can agree. In order to secure better laws for animals, the animals need advocates on both sides of the aisle, advocates who even if they otherwise have difficulties agreeing on various issues, can agree and work together to make Pennsylvania a kinder place for its animals. While our insistence on being nonpartisan aroused a few detractors, we are reassured by the fact that for the most part, animal advocates understand that it is critically important that party be irrelevant in determining who we back. At a time when there is an abundance of anger, acrimony and divisiveness in politics, insisting on the humane treatment of animals is an issue which can and should be our common ground and unifying rallying cry. Humane PA was able to support and help elect animal friendly candidates and incumbent leaders because of all of you. You understand how important it is that animals and those who care about them have their own political action committee that will be their strong and unified voice in public policy. You understand how important it is that animal interests have a powerful political action committee that can challenge and rival – and defeat – the committees and organizations of those who oppose protecting animals and ending cruelty. Humane PA is not only the political voice in Harrisburg for animals – it is your voice too. The election is over and while we can take a moment to revel in the results, it will soon be time to get back to work, to get back to the business of getting better laws for animals. Stay tuned.